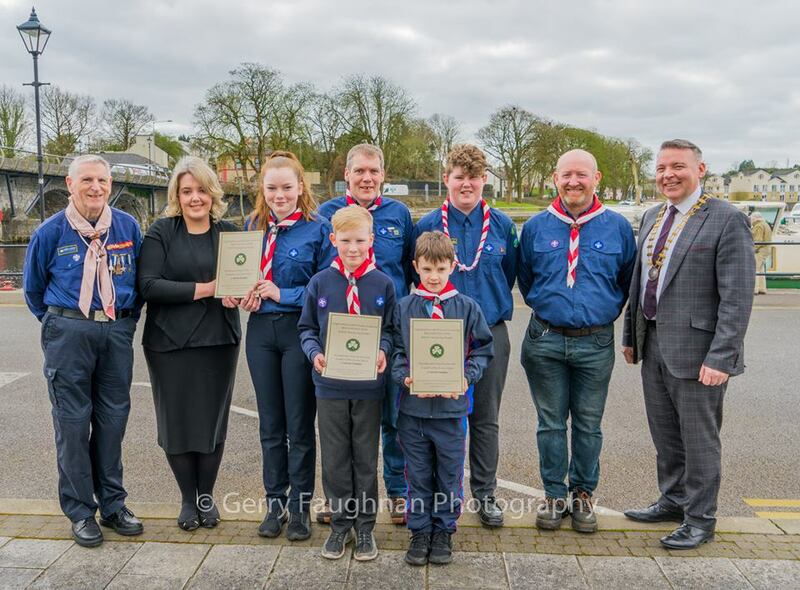 The presentation of prizes for Carrick’s St Patrick’s Day parade took place on Wednesday 27th March at the Chamber Office. 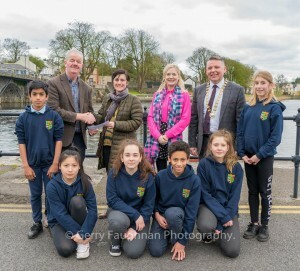 organizations and businesses but finally decided on Scoil Mhuire as the Best Overall Entry. 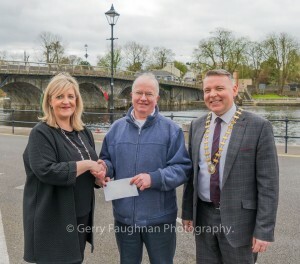 A big thank you to our very popular Grand Marshal’s Mary & Gerard O’Donnell who led the Parade through the streets of Carrick on Shannon in Stephen Faughnan’s vintage 1966 Jaguar as The Jag approached the reviewing stand Mary was greeted by Chamber President Colm McGrath who presented her with a bouquet of flowers. 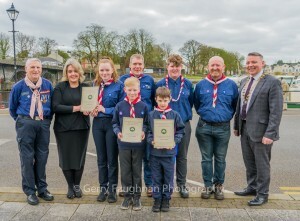 Carrick Chamber would like to thank all our Prize Sponsors, the Army Colour Party, The Kiltubrid Pipe Band, our Grand Marshal’s, Mary & Gerard O’Donnell, Stephen Faughnan, Eilish Beirne our MC, Eden Flowers, Gerard Faughnan for his photos of the event. 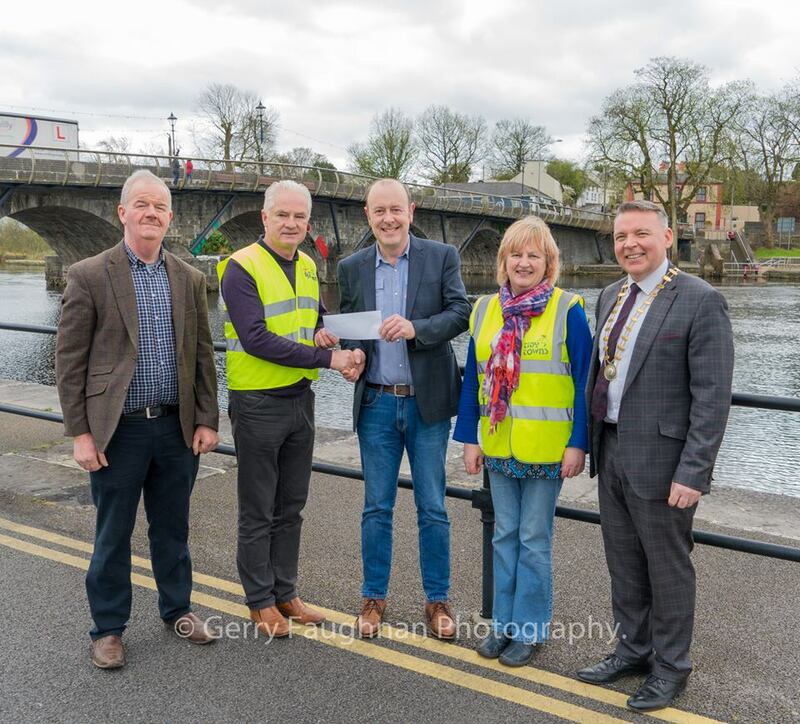 A big thank you to our stewards and all the Tidy Towns volunteers, the Gardaí, the Chamber office staff and to all the businesses that were open to cater for the needs of a large number of visitors. 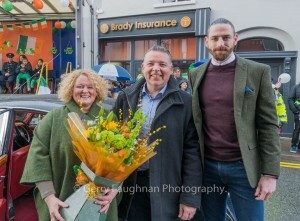 L/R Mary O'Donnell being presented with flowers from Carrick On Shannon Chamber President Colm McGrath with Gerard O'Donnell. 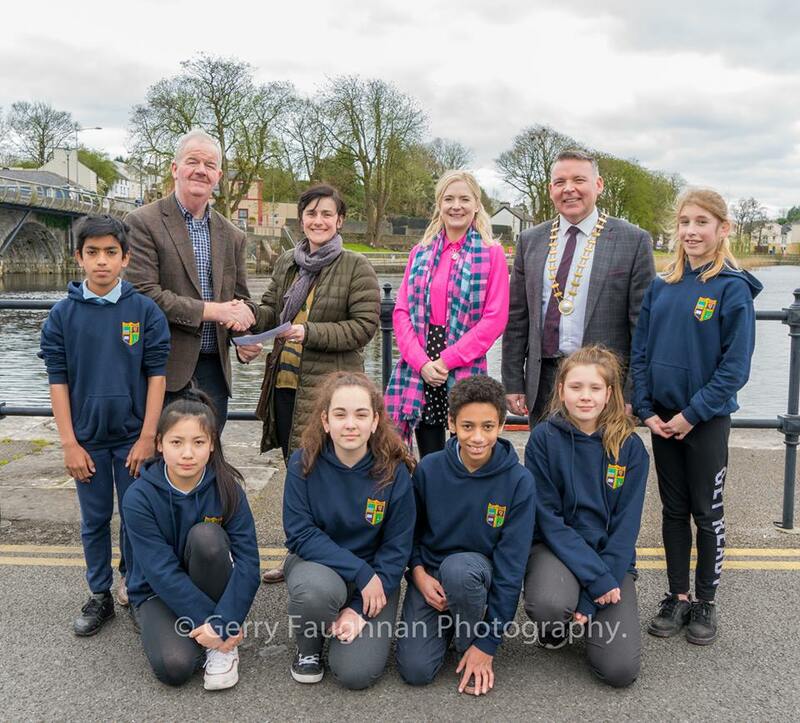 Overall Winners of St Patricks Day Parade Scoil Mhuire, been presented by Sponsored by Gannon's eggs and poultry Back row L/R Ray Gannon, Michelle Lowe, Laura Brehan Scoil Mhuire Teachers, Colm McGrath President Chamber and some of the children who took part in the parade. Ibranim Momin, Iris Pierna, Anastazja Lipinska, Selina Chi, Beatrice Juskevicute, David Ehiayviru. 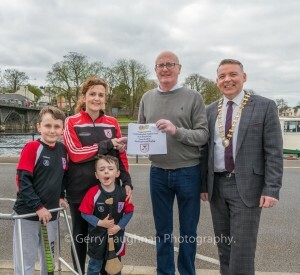 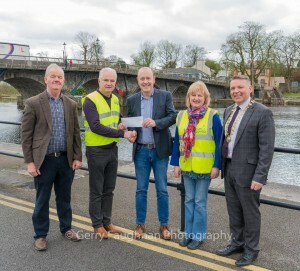 Best Club Entry was from Carrick on Shannon Tidy Towns Sponsored by Supermac's Carrick On Shannon L/R Ray Gannon Carrick Chamber, Pascal McGuire Enda McGovern Phil Faughnan & Colm McGrath. Best Window Display Sponsored by Gallaghers Auctioneers went to Heslin's on Bridge St, L/R Yvonne Noone Frank Heslin & Colm McGrath. 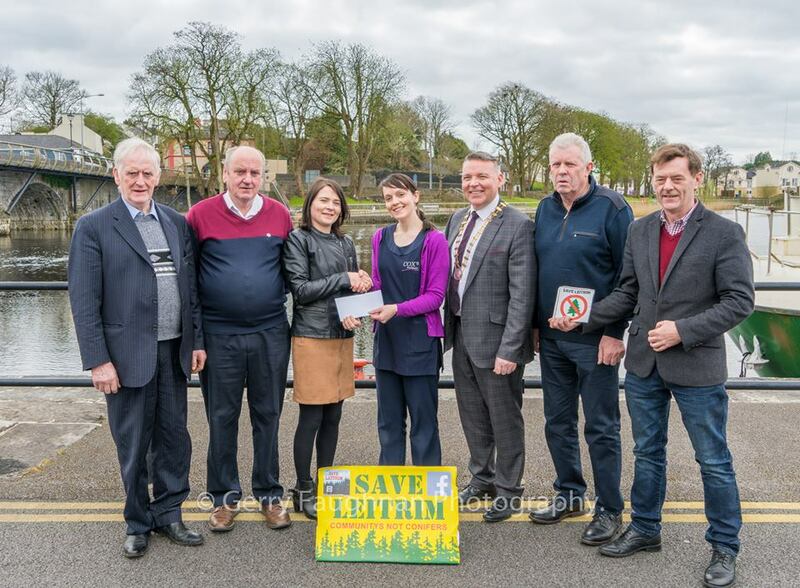 Winners of Most Creative Entry Sponsored by Cox's Pharmacy Save Leitrim, picture L/R Gerry Dolan, Jim McCaffery, Yvonne Hollidge, Kathy Hughes, Colm McGrath, Sean Mcloughlin & Michael McManus.